A sound hard to pin down always excites the imagination more than most and equally ears it is hoped. Greek hard rockers One Year Delay have such a proposition bursting from their imagination and craft and as proven by debut album Deep Breath it does give ears and thoughts a thoroughly enjoyable time. Offering seven songs entwining flavours such as nu and alternative metal, grunge and punk rock amongst many spices, the release is a roller coaster of invention and perpetual success. Wanting to learn more about One Year Delay and their ear catching proposition, we had the pleasure of talking with the band, exploring their origins, the spark to their diverse sound, and the recording of Deep Breath along the way. 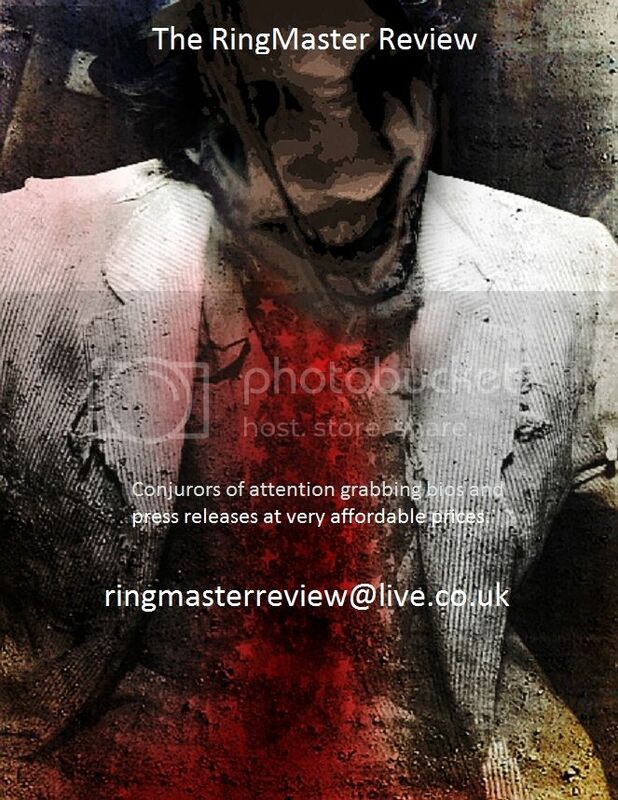 Hi and welcome to The RingMaster Review, thanks for sharing your time with us. For newcomers to the band can you give some background to the forming and early days of One Year Delay? (Nick) One Year Delay started as a band of a few friends with the same goal. To write some music that we love and play as many gigs as we can, to express themselves and fulfil our need for creativity! To cooperate with your friends to a purpose like this, I assure you, it is not easy. And that’s because we all have different influences of all kinds of rock and metal genres. But the result is a good mix of all those genres. And the most important thing for the listener is to understand is the social and economic circumstances that we live in, and finally inspire us to our lyrics and music. Was there a particular spark or intent taken into the band as direction or simply attitude in those first days? (Nick) The spark was, in a way, the difficulties that we experienced as a nation the last few years, but also the personal problems that all people have faced through their lives. But I have to mention, that the expressions of your feeling such as anger, despair, terror etc. to another person, even if it is a friend, is equally difficult as dealing with it! And that’s another spark that boned us. The expression of ourselves; not feeling vulnerable! Apart from member changes, how has the band changed in its ideas and thoughts in regard to making music if at all over the past three or so years? (George)The main factor of changing the course of our compositions was the realisation that we have nothing to lose if we at least try to play anything we are fond of, following no linearity. We are all attracted to bands that are not afraid to experiment. Gradually it grew in us and we decided to establish this fusion of genres. The upcoming compositions will prove this even more, you can count on that! We can confirm that great diversity to your sound, the embrace of numerous styles; so this has more evolved over time or was also a vibrant element at the band’s start? (George) Like most bands in the beginning of their venture, we started in a rather tight musical frame. If you love music in general you don’t wanna focus on a particular influence I guess. The way I personally see it, it’s like entering a buffet restaurant and picking one dish! We are probably the guys that will fill their plates with a little bit of everything! Nevertheless we try to match our variable tastes as good as we can, being aware at the same time how difficult and risky it might be. So it is fair to say that this strong mix of flavours has organically grown with band’s members individual and varied musical tastes or is there an element of intention fuelling it too? How would you describe your music to simplify it for newcomers? Are there any specific and major inspirations which you would say have particularly impacted on the One Year Delay sound or invention? (George) The gamut is infinite…Here is an attempt to include some names, though it still won’t be very representative: Korn, Deftones, Metallica, Alice in Chains, Nirvana, Tool, Black Sabbath, Slayer, Primus, Faith No More and the list goes on and on… Now as far as the influence is concerned there can be tiny parts of songs or a musician’s particular style that inspired us. The list definitely expands to a broader musical scale. You are of course from Greece, where to us on the outside it seems it is the extreme styles of metal which predominantly occupy the thoughts of new bands and fans there. What is the reality and how has home grown rock fans taken to your adventurous sound? You went over to the US to record just released debut Album Deep Breath. How did the opportunity to travel to Nashville come about and why that decision? (Jack) Everything started when the band decided to record the debut album. Then Pete said “hey guys, wanna contact a very well-known producer?” We said yes, of course; after that we started sending emails and stuff until one day we received an email from Toby which said, “guys, I would love to produce your band,” so we went to Nashville! That comes out because Toby lives Nashville, but on the other hand Nashville is like the Mecca of music. It’s definitely the hottest destination for every kind of musician. That city has music exhibitions even at the airport; I personally think that this place can make you a better musician only by visiting it. As you just mentioned you recorded the album with the legendary Toby Wright. How was that experience and how much did he help shape or maybe re-adjust your ideas for songs in the studio? (Jack) Ok, Toby is a great person and a really, really good producer. The experience of working with a producer like him is absolutely amazing. He can make you a better musician only by telling you a simple idea; he knows his job in and out of the studio. He helped us play our own songs better and get the best possible results from us. He has the ability to approach you as a friend and a musical expert at the same time. It is not a common thing for a music star to combine these two facts, is it? Was there anything which came out of the recording of Deep Breath which surprised you or you discovered which will be a strong help in your next recordings? (Orestis) We managed to handle a difficult situation. For example, we are a band that made pre-production and production of an album at the same time! Pre-production procedure was very difficult for us. We were in Greece and Toby in the States so we had to work all our ideas through email so Toby could hear it and send back his remarks. It wasn’t live at the studio like “play this or change that,” but I think in the end we have done a very good job as a band and Toby as a producer and we learned our lesson; next time pre-production time will be in the studio hopefully! Now the album is out there will you be taking Deep Breath to ears via live shows? (Orestis) Yes, our main objective now is to provide our sound and material live across the country, also hope to support large metal /rock acts from all around the world when they come to Greece and hope that we will have the opportunity to navigate across Europe and then maybe the world, you never know! And next for One Year Delay? (Sotiris) I think that the next thing for O.Y.D. is, of course, live concerts around Greece, Europe and the U.S. (we must pay our bills first). At the same time we have new ideas for our next album which we are working on already, but mostly our aim is to become better musicians in every level and I believe it’s gonna be an interesting year. Thanks again guys for talking with us, any last words you would like to share? (Sotiris) Thank you for the interview and your fans for reading it …Make music and love…NOT war! A proposition which increasingly impresses and continually reshapes thoughts and emotions the more time shared with it, All You Want To is one of the year’s most intriguing, ingenious, and exciting progressive metal explorations. It comes from ESCAPETHECULT, a band created and driven by Kamlath bassist Peter G. Shallmin and filled with the further creative talent of Uneven Structure vocalist Matthieu Romarin, Primus/A Perfect Circle drummer Tim Alexander, and guitarist Mike Wead from King Diamond/Mercyful Fate. The project has been a passion brewing away within Peter for years and their first album a compelling and striking incitement for ears, and imagination. We had the pleasure to learn about the band and more with Peter who kindly shared his time to talk band, the search for specific elements, the debut album, and much more…. Hi Peter and thanks for taking time out to chat with us. Tell us about the beginnings of the band and the initial spark and inspiration behind it. Greetings from far Siberia, dear Pete! Pleasure to meet you! Thank you for this great opportunity. Much appreciated. Always nice to have a talk between two Pete’s btw…haha! Well, it was me, who was so crazy and passionate to begin ESCAPETHECULT. It’s me who’s the spark, inspiration, nerve, force…and even the plague. I’m almost everything. The absolute “driving force” – my dream when I was very young – was to play with my favourite musicians: Tim Alexander of mighty PRIMUS I was quite fortunate to reach him sending the e-mail with the idea to cooperate. You can understand my highest level of excitement when I’ve received his words “This is cool!”. Mike Wead is my guitar hero. I’m lucky enough to say he is my long-time partner, we have worked together in my main band Kamlath and I wanted to see him in ESCAPETHECULT. Was there a sound already in mind as the project came to life and if so how did that evolve as the line-up of ESCAPETHECULT grew? In fact, I didn’t think about the sound. The keys were: the idea and the music that I had. Till the very end we didn’t care about the sound. I mean there were no questions how should, say, drums or riff guitars be sounding. As far as the construction of the actual ETC sound was under many factors I was very calm and confident in a result because the highest level of professionals I collaborate. How about the visual side, was there a concept or direction in mind there too? I had everything in my mind to embody I just was needed the right artist to make it real. I get the impression that the project was a seed growing inside over time rather than a sudden spur of the moment idea. Yes, you are right! Thank you for this question. Not a spur of course…A picky, detailed and really hard job. Despite the fact that I’ve started to work with Tim and Mike practically immediately, I considered finding a further guitarist for the riff parts and a vocalist. And this was the hardest task ever that has been lasting for 4 years in total. A numerous shots with various guitarists and vocalists all over the world…(around 20 musicians in total or even more) haven’t brought the outcome I hunted to achieve. The final line up was formed just more than year and half ago. No success to find the right rhythm guitarist has forced me to compose and to demo it by myself and ask Mike to forge and improve them with his brand fingerprint. And the songs which grace your debut album All You Want To; ideas from before the band or freshly sculpted since its emergence? Artists involved had a full freedom and all the time they needed to compose and record everything. Could you imagine that for example one song had blast beats? Yes it was. Some of my basic ideas were so extreme, on the edge. My ideas are not holy, I’m very flexible. Everything on this album was balanced with a clever and mature approach of Tim’s unique touch; the songs were shaped, sculpted as you said, re-arranged by Mike in details (through many months). Matt’s personal contribution as a composer and vocalist is so huge. Sometimes it sounds like a jam but there’s no jam at all. They have given a new breath, new soul and new life to our creation. I hate the term super group but certainly ESCAPETHECULT has some already acclaimed talented and inventive musicians involved as you have already talked of. Can you elaborate further on how the link up with you all came about and was this collection of talent always in mind as the band came to reality? For me ESCAPETHECULT is my musical family. If there’s no Tim Alexander there’s no ETC. It would be a completely different band. I’ve composed all songs the way like I‘ve “seen” Tim behind the drums. I’ve imagined our jam together: where we stop and go where we put this accent, where’s the fill etc. Mike is the artist I see in the band – his talent and technique is so unique. Matthieu is the star that I finally found after the years of painful research. There was a proper picture what should be played, how and where but no restrictions to create something new. There was a full autonomy to Tim, Mike and Matthieu to turn it to another direction. I didn’t care about the whole album sound but I was insane to discover the vocalist with exact timbre, style and the voice charisma. Now I think the stars (in the sky I mean) did the job right! I had to go through this long way to accomplish exactly what I wanted. With the likes of Primus, A Perfect Circle, King Diamond, Mercyful Fate, Uneven Structure, and Kamlat the ‘vehicles’ by which we know you all, was there any expectations on the outside towards the ESCAPETHECULT and your debut album All You Want To that you came across? I see ESCAPETHECULT has broken many expectations, I see it on FB when we’ve got a decent amount of “unlike” straight after the first worldwide spin of I’m Absolute. Even in some reviews I felt this big disappointment (why so big?). I guess some listeners were hoping to hear an aggressive mixture of heavy death metal riffing with more dynamic and fast drumming with harsh recitatives ala “Tommy The Cat” and epic clean vox over mega-delayed ambience with touch of growls here and there…I bet. Alongside with this kind of reaction we keep receiving mostly praise. We’ve got an immediate support of PROG UK / METAL HAMMER UK – all our official steps were translated through their channels – first promo video, single video, full album stream and the 3 pages feature interview by Dom Lawson in # 49 Prog Magazine printed with such serious analyse and amazing words from him. We are sincere thankful for those who have devoted much more time (than usually do) to try to get ETC’s message twice (3, 4 times and more), who has postponed for a “next time” to come back and to listen again and again. You have to listen to our instrumentals – it has so many layers, hidden parts to discover, some unexpected revelations. You’ll find bossa nova in the main bass part of Feel The Flight, tango with “slows and quicks” in Tired Of The Past, psychedelia in This Time Will Come, jazzy odd signatures in I’m Absolute. There are such varied backgrounds and flavoursome styles behind you all, I am imagining writing and bringing songs to life is a fun but maybe also an intensive kind of moment with numerous ideas coming to the fore. How did the songwriting work in regard to the album and in its recording? The entire album has been done in my home studio. It has taken no more than 2 weeks in total to compose, record, and arrange all ideas. I’m lefty, maybe it explains a bit, why our music is so weird…Rhythm section is my passion, I have demoed all drum parts; luckily Tim has kept my drum ideas and enriched it. Tim’s drums are the same as they were delivered by him in the first recording. He has recorded it in his home studio on the same custom TAMA/Zildjian drum he uses with PRIMUS. Don’t need to say that his playing is top notch and tight like a clock so it stays untouched with the rest of the old (at the first demo stage) and the new arrangements. Unfortunately through those years it was a misfortune to find the right rhythm guitarist and this fact has impelled to record riffs by myself and pass it to Mike then. Mike Wead has re-arranged and recorded riff guitars, leads/solos with a kind assistance of Simon Johansson (guitarist of WOLF, MEMORY GARDEN, ABSTRACT ALGEBRA etc.) at Solna Sound Recording Sweden. Our rising star – Matthieu also recorded his vocals in own studio. The final production of All You Want To has been completed by Mike. To sum up…the outcome of all members involved was very fast. The research of the artists has taken 4 years. The band members are settled in various areas of the world. Did you all come together in one location for the album’s recording or was it done across studios and time etc.? It was done across studios and time. The web has been a key aspect for the creation of ESCAPETHECULT. The web has made the world small enough for all of us to be able to work together. There were thousands of mails, notes, guides, mega packages of audio files, sequences, even multi-seconds. It was a smooth and productive experience because everyone knew his role. – Hey, here’s the sequence 00:45 – 01:15 I put here an additional harmony and few overdubs to support the main part. What you think? – Yeah, man…I love it! Kiddin’ of course although you can imagine how meticulous I am. Nevertheless every single note, accent, instrument and the whole performance is natural. Give us some insight on how the album came together and the energy and determination it has taken to get it all together and out there without any label support. Free will and sincere approach, Nothing more… If you don’t like the idea or music you won’t join…right? We do it without any label support. Yes, I wanted it in the very beginning but few hints showed that the labels hadn’t interest in this kind of creative alliance despite the names. To be honest, the music we represent is not for the masses. Thanks a lot to our partner – HOLD TIGHT PR! James you are doing a really hard job and I guess it was one of the hardest task to let people heard us and to find a balance between existing media tastes, expectations and disappointments and integrate ESCAPETHECULT into it. It’s quite hard nowadays to open the eyes. Is there a particular theme or veining musically and lyrically across All You Want To? Our hearts and souls in every single note! What have been the main inspirations to the album’s heart and lyrical paintings? The full title we quote as “ALL YOU WANT TO ESCAPE THE CULT”. We convey our own and simple philosophy on every day’s symbols, signs that have many meanings. Mostly it’s about the time through many skins, origins, components that are around us: social life, politics and religions. About something that quite often fears us with a touch of sarcasm and self-irony. The primary message is quite simple: Be free. Your freedom is a gift to live and build your own day, life and “world”. How about the visual side of the project, who drives that and how does it relate to your music. It was a parallel period that has been took the years too. I’m extremely picky because I know what I want. I was needed a very detailed conceptual art. The creator of our visual concept is Igor Omodei, a truly talented French artist and he is in UNEVEN STRUCTURE too. I’ve gave him my ideas, “the story” behind each song and he has created all arts, illustrations to every song and full layout to our debut. Inside of the digipack release you can find a monologue written by Igor. He also did ESCAPETHECULT’s promo video and a debut single video for I’m Absolute. I’d say more our visualization for this album is not finished yet. Our crew is much wider than you could think and the final list of artists is really big. ESCAPETHECULT will bring some wonders till the end of this year! Is there a live side to the band yet with you so far apart? We are very close with Mike because we haven’t stopped to work and we are on the finish line with the second Kamlath album that should see the light in the end of this year. With Matthieu too – I’m glad he rises higher with Uneven Structure and I’m quite happy for his success. We were very anxious about Tim’s heart’s surgery lately but now everything’s fine, he is a titan and right now he is back to rehearsals with Primus for the coming tour in November. Everything’s just fine between us. It is right to say that the aim is for ESCAPETHECULT to be a unique multi-sensory experience? We found All You Want To made a potent initial impact but flourished more the further down the line we went, its charm and elements a lingering lure drawing us back into its arms where to be fair we discovered more and more of its depths with every listen. As you brought the album to life did you feel or sense how it might work predominantly with listeners? We called it a progressive album to give a sense of its sounds to readers, but it embraces much more than that. How would you describe it? This is the MUSIC and ART first. The second – it’s not a “piece of cake”, a “hard nut” indeed. It’s very intelligent concept for a forward thinking person. No clichés…A book within deep musical and art landscapes. You HAVE to take a time to understand it… Not just one take. All You Want To opens up more with every new spin. Mature, honest, diverse and unique. What comes next for ESCAPETHECULT? The second album of course… a new visualization in a more bizarre way. People want to see us on the stage in 2015 we consider some opportunities to make this project live. Till the end of this year there will be a limited edition release in a very special package of all instrumental versions of the songs plus some cool surprises. Thanks again Peter for sharing your time to talk with us. Any last words you would like to share? My pleasure to answer to your interesting questions! All the best to our listeners, to RingMaster! Listen to the MUSIC! We bring it to you! All You Want To is a persistent little temptation, an album which admittedly did not really blow thoughts and senses away initially but did engage them in a pleasing and intriguing proposition. Away from its aural embrace though hooks and melodies, rhythmic twists and grooves kept swerving around the imagination and memory, all leading back to and revealing themselves as being bred by the debut album from Escapethecult. The seven track encounter is still not an experience to leave you intensely awestruck but with its lingering and ingenious enterprise certainly enthrals as one of the year’s more exciting progressive metal propositions. drawn. The distinctive tones of Romarin bring a familiar and passionate texture to the emerging narrative of the song, one never forceful or in a rush to challenge ears and thoughts but leaving inventive tendrils of melodies and strains of sonic incitement to infest the passions. It is a potent and riveting start to the album, basking in the renowned individual skills of its creators whilst forging a compelling and unique suasion of its own. The following Clandestine opens with a muscular and aggressive threat which is soon tempered by an evocative heat of sonic colour and warm vocals. There is still an intensive weight to the rhythmic potency of Alexander though to keep senses on edge and balance out the almost Queens Of the Stone Age like sultriness coating the melodic exploration of the song. Grooves are seemingly slight in their bodies yet make for the most addictive and as mentioned earlier relentless temptations, the outstanding second track one of those which makes the most re-appearances in thoughts away from its source, whilst the flames of guitar endeavour from Wead transfixes as they scorch air and senses. A definite pinnacle of the album, it is soon backed up by the gentle croon of I’m Absolute. With an immediately delicious web of hypnotic bass flirtation and the similarly mesmeric vocals of Romarin, the song sways and immerses ears in a smouldering and jazzy emprise of progressive fascination. The beats juggled by Alexander further captivate and ignite an already invigorating breath to a song, which as the album as a whole, does not explode in the passions but worms its way seductively into the psyche to forge an even more intensive bond. Both the melodically tender Feel The Flight and the rapacious Tired Of The Past provide an absorbing canvas to lose one’s thoughts within, the first adding tense riffs and restrained yet incendiary grooves into its impassioned but mellow landscape. It is another where particular elements fire up ears and the passions rather than an overall combination but that united blend provides the embrace and rich foundation within which the sublime twists and essences can impress. Its successor is a feistier encounter in sound and intent which boils with imagination and unpredictability, preying on and tempting the listener with a provocatively charged invention which snarls and seduces with equal predation. An exceptional track binding ears in a thrilling adventure, it also sows seeds which blossom at a later date, though that is something truthfully which applies to all songs, as shown by the brilliant This Time Will Come. Hints of Alice In Chains and Tool, which have flirted with other songs too, make a rich enticement within the masterful blaze of intensive melodies and sonic acidity. There is also an underlying snarl and angst fuelled growl to the track which simply scintillates within the impressive and constantly evolving invention as it pushes itself to be the pinnacle of the release. Where No Grown Up Grapes brings the album to a fine close with its web of heavy vocal and sonic passion. It is another where it simmers without lighting fires but then in a twist of a chord or rhythmic shuffle finds an enslaving idea or slither of imagination to set thoughts and passions ablaze. That sums up All You Want To as a whole, it at times simply pleasing with skilled ease and then striking with sheer genius and expectations slaughtering ingenuity. It all makes for an album which leaves a rich impression and presence with even deeper laid lures which prey on the listener later. How frequently Escapethecult will be exploring ears and imagination ahead we will see with its members ‘day jobs’ etc. but anticipation and hunger for more is already breeding healthily thanks to All You Want To. The self-released All You Want To is scheduled to be unveiled in September 2014. Creating what they term psyche-fonk metal, French band Toumaï is one of those encounters which send tingles down the spine as it teases and ignites the imagination. Unleashing a majestic psyche twisting bedlam in the tasty shape of debut album Sapiens Demens, the quintet from the south of France bewitch and tantalise with each psychotic note and every maniacal rhythm. Their album is a tempest of ideas and cracked invention presenting an adventure like no other and a pleasure which only turns lustful over time. What little we can tell you about Toumaï is that the band formed in 2006 and consists of vocalist Antoine Flaven Hude, guitarist Julien Mahoudeau, bassist Christophe Applanat, drummer Clement Mahoudeau, and Célia on keys and trumpet. That is about it, apart from the fact that their first album is irresistible and uncontrollably insatiable with imagination, mischief, and inventive hunger. The five-piece bring influences from the likes of Psykup, Infectious Groove, Primus, Gojira, Mr. Bungle, Primus Band, Rage Against The Machine, Tool, and Red Hot Chili Peppers into their fusion of funk, rock, and metal, but it is only one shade of the whole picture; the release a musical canvas which only the ears can truly represent not our simple words, though we will give it a go of course. The opening track is Little Psycho, a title so apt for song and album. From an initial percussive tease the drums lay down a riveting frame around which the bass roams and leans on the senses with a menacing glee whilst the keys dance with energy and mischievousness over the ears as vocals explore their narrative with quality and equally enterprising rascality. The swagger of the song is a delicious bait alone within its ever changing gait and presence of the song whilst bursts of aggression make the perfect suitor to the elegant beauty which coats the keys and their melodic caresses. There is a similarity to fellow Frenchmen Mucho Tapioca at times as the song climbs and soars through its persistently shifting glory but also of System Of A Down in its latter moments and Faith No More across its stirring flanks. The impressive start is immediately left in the wake of next up Madness in Mind, the best track on the album with ease. Vocal croons wrap the ears right away as the guitar and keys stroke attention to its fullest height, before the song settles into a ska kissed, reggae bred stroll within metallic walls which get their turn to intimidatingly press upon and please the senses. With its funk hips swaying leading to the raucous chorus, the track is like King Prawn meets Korn though when it slips into a beauteous wash of ever engaging keys and vocal harmonies punctuated by another striking bass line and rhythmic probing, the band takes the listener down a more alternative rock avenue. This is only halfway in though and the track only accelerates to greater potency and persuasion once it lifts its knees to romp into an infection soaked waltz of enterprise fusing the loco folk/pop of Mano Negra with the contagious unhinged temptation of Kontrust before thrusting it all through a Skindred bred causticity. It is crazy and completely enthralling, not forgetting simply sensational. The following Petit Punk en Ut#m is no slouch in tripping the switch to the strongest satisfaction either, its more noise seeded rock and disorientating psyche funk tempting another feast of unpredictability and hunger breeding invention. Scavenging the senses for the weakest spot, the song flares over the opportunity with punk belligerence and metal sculpted antagonism as it works towards its climax, not before having seduced with dazzles of psychotic indie melody seeded teasing. Another highlight, the song is backed in strength by the less crazed Anachron, a track which admittedly does not quite reach those earlier set heights but still magnetises attention and appetite with its funk stepping vibrancy and contagious melodic smile. Both Bankster and Wiki Puppies keep the listener on their toes physically and mentally, the first and extensive expanse of craft and imagination which lays down a pulsating quickstep of reggae spawned pop. This is then wrung through voracious cantankerous crescendos at certain moments which burst from the song’s wonderfully exhausting enticement which builds towards a dramatically powerful and aurally traumatic brilliant closing declaration. Its successor pounces and leaps over the imagination as if its notes and ideas are crossing hot coals. It is a tempestuous mix of jazz, rock, psyche, and avant-garde devilry placed in a maelstrom which seamlessly forges an addiction spawning triumph from it all, rhythmically, melodically, and vocally. The two parts of the title track almost come as a shock, the first especially subdued and restrained in its cinematic atmosphere and noir clad shadows and spoken vocals in comparison to the rest of the album, though the second part is soon climbing up the walls with scorching grooves and twisting melodic flames igniting the air around the again excellent vocal presentation. A relatively, and we say that with tongue slightly in cheek, straight forward heavy rock infused slice of metal with those continually entrancing keys of Celia enticing the emotions, the track is a deeply pleasing venture setting up the appetite for the closing mastery of Prey of Birds. The final song enjoyably plagues the ears with a kaleidoscope of sounds and challenging invention shuffled to an inch of its cohesive life, but as on all tracks it casts a proposition which is fully coherent and wholly. Sapiens Demens is a thrilling testament to endeavour and outside the box thinking but crafted with a knowledge nestling within Toumaï of how far to go and where to link everything for an innovative and breath-taking whirlpool of sound. Another to add to the must have list.